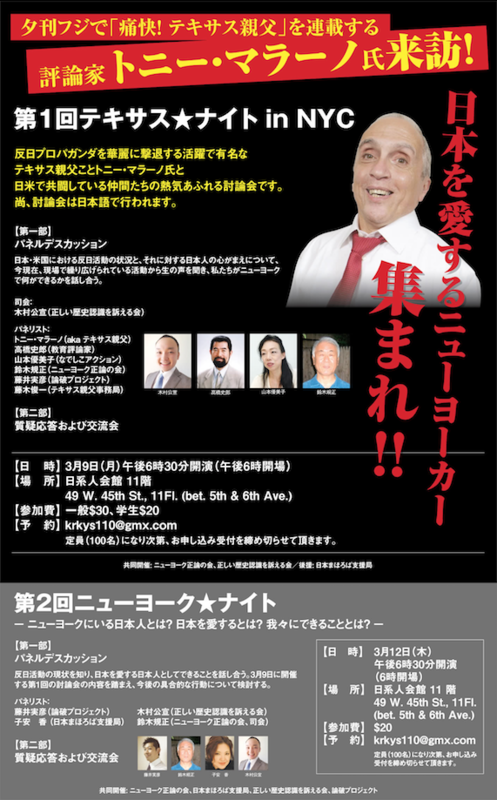 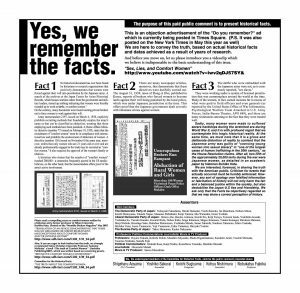 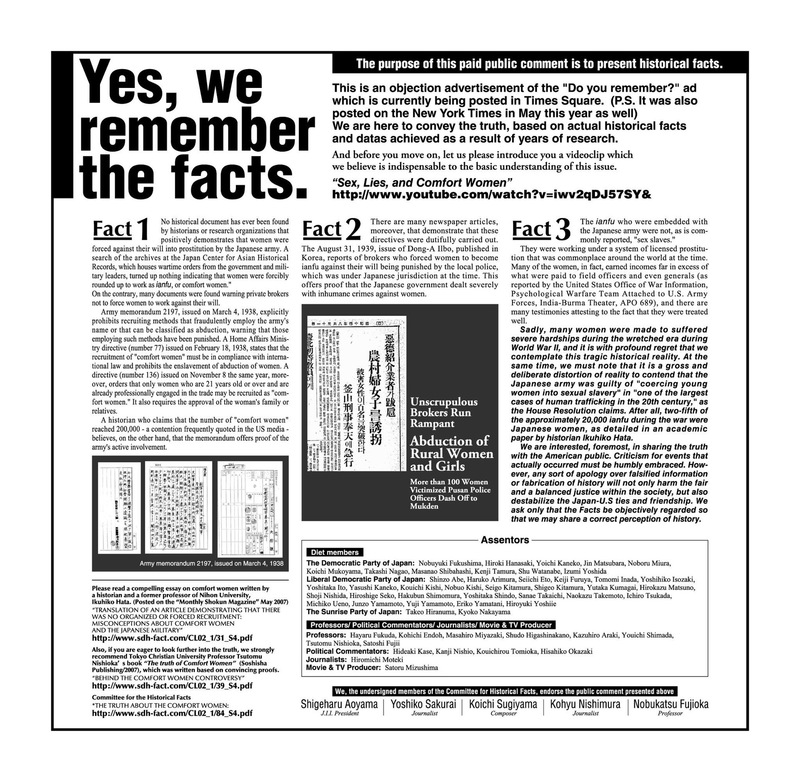 Japanese right-wing groups first infiltrated the NGO Parallel Events in 2016 under innocuously named panels to promote Japanese nationalism and comfort women denial, after which they were banned from participation for an year. 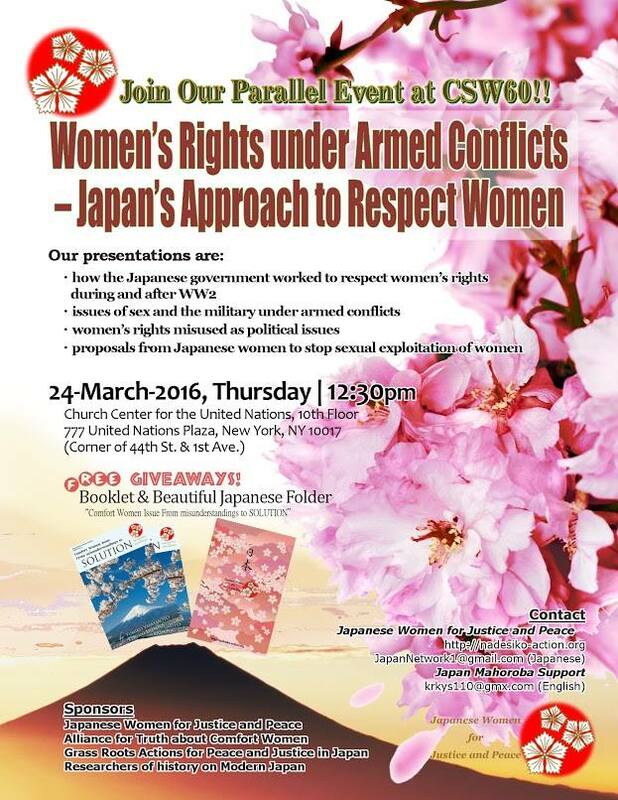 When the ban expired in 2018, comfort women denier group Global Alliance for Historical Truth returned to the NGO Parallel Events with a panel titled “The Role of Women in Japan Now” on March 19, 2018. 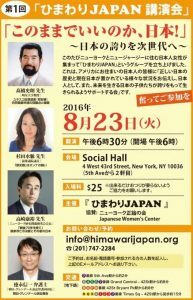 Presenters included Koichi Mera, Keiko Kawasoe, Moe Fukada (深田萌絵), and Shizuko Culpepper (カルペッパー静子). 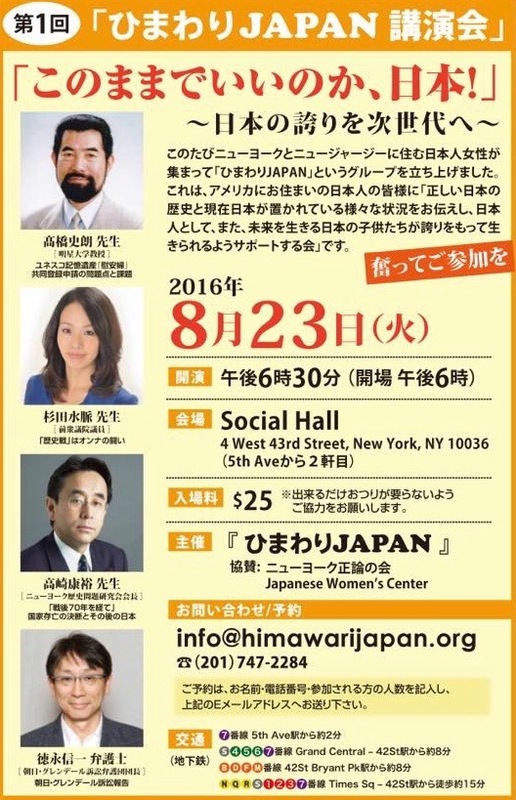 According to Kiyoshi Hosoya of Global Alliance for Historical Truth, Kawase argued at the panel that Japanese women are not seeking gender equality or careers, but simply desire to become full-time homemakers, and the Japanese government’s policy is focused on fulfilling such wish of the vast majority of Japanese women. 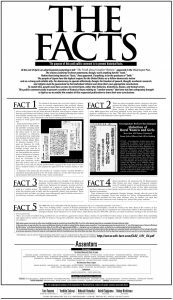 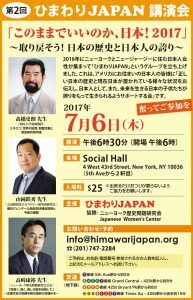 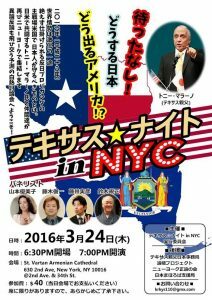 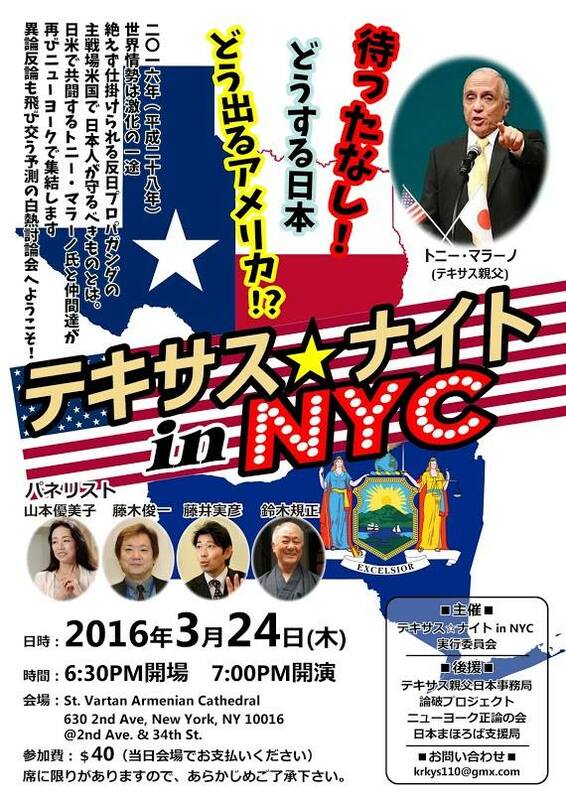 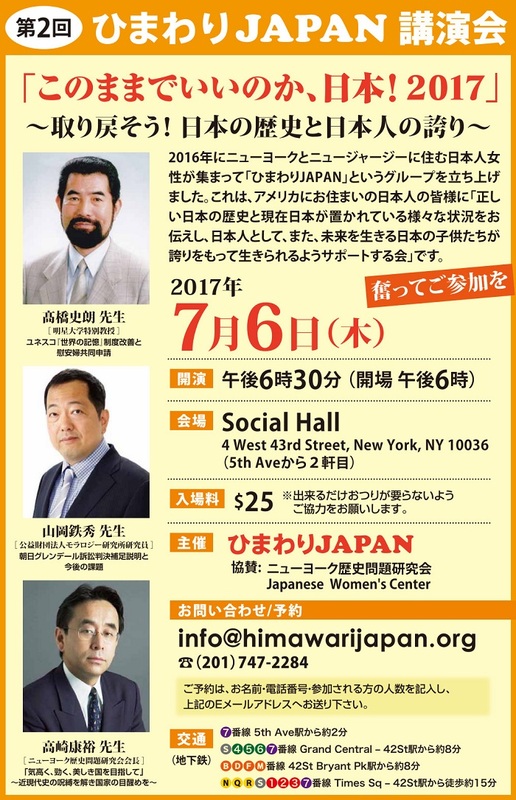 Along with the panel at the NGO Parallel Event, Kawasoe held a separate lecture in Japanese on March 21, 2018 co-sponsored by Global Alliance for Historical Truth and New York Historical Issues Study Group.